This will yield plenty of icing, a little more than you’ll need for the cake, but it’s so rich and tasty, you’ll want to use it on everything! Otherwise you could reduce all of its ingredients of 1/3. Preheat the oven to 180°C/gas mark 4 and grease a 23cm/9in tin. 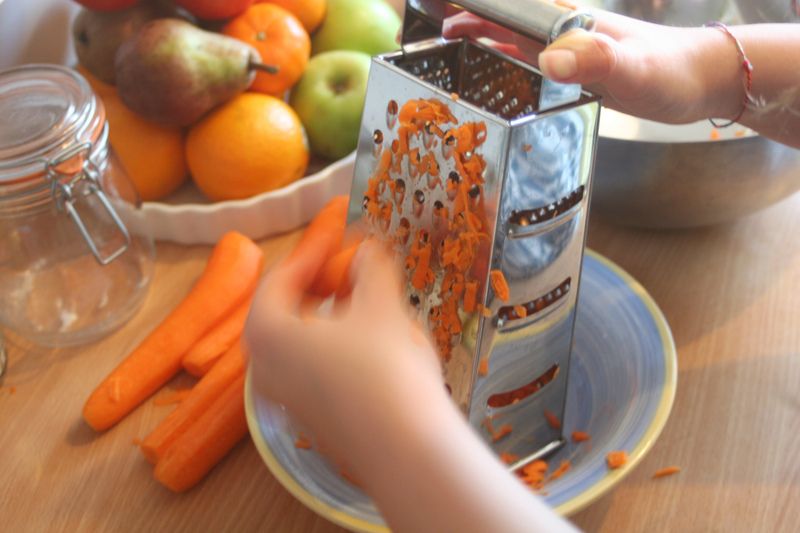 Grate the carrots and orange peel, then beat the softened butter, sugar and orange rind together until light and fluffy. 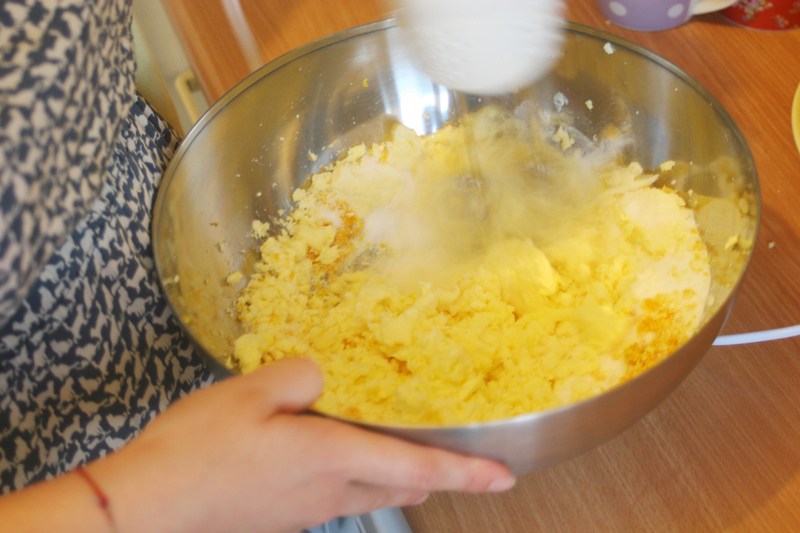 Gradually add the eggs to the mixture and then fold in the carrots and grated nuts. Add the vanilla essence and the orange juice. The mixture will look very liquid at this point but fear not! It’s all under control. In a different bowl, sift the flour, bicarbonate of soda, salt and mixed spices together and fold into the mixture gently. 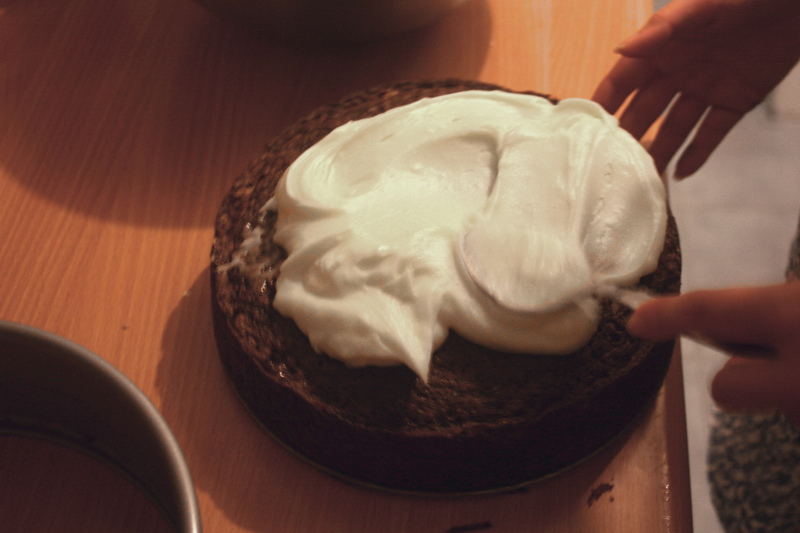 It will still look pretty runny and pale, but this is good, because it means that your cake will be soft and moist. Pour the mixture into the tin and bake for 50 to 70 minutes, depending on how efficient your oven is. You’ll know the cake is ready once its sides come away from the tin and a skewer comes out clean, if a little wet. Don’t worry if the final result looks much darker than the mixture you initially placed into the oven, this is completely normal. Finally, make the icing by creaming the mascarpone and softened butter together until smooth, add the icing sugar and vanilla essence and mix until it is all homogenous. This frosting is amazing! Spread it generously onto the cake once it’s cooled down a little and enjoy. 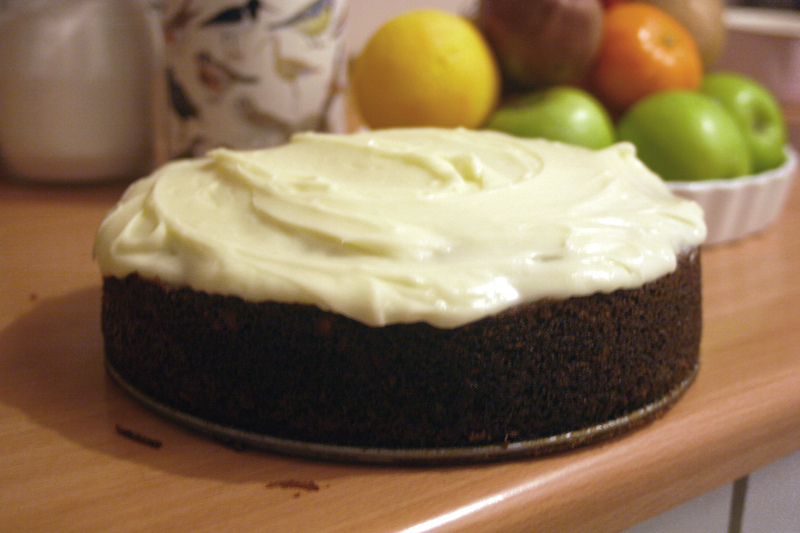 This entry was posted in Food and tagged cake, carrot, delicious, food, mascarpone, orange by dressingfordinner. Bookmark the permalink. Thanks, try it if you get the chance! This cake was AMAZING. I tasted it.